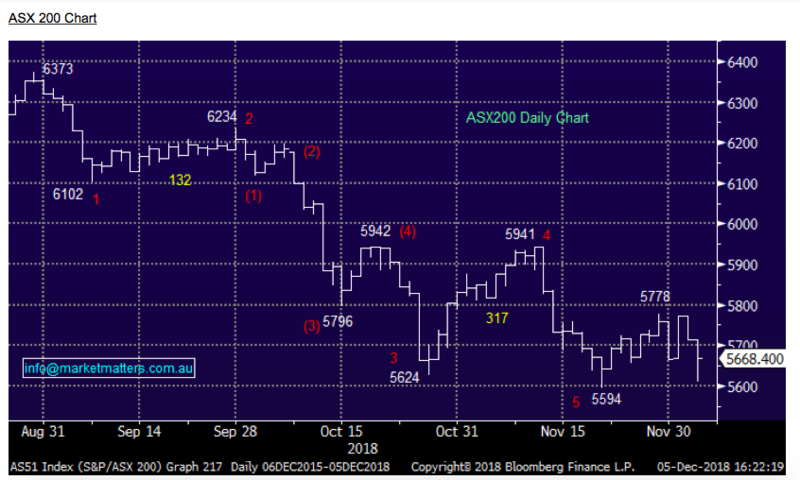 A weak open to trade this morning with the Australian market following overseas indices down the chute early – however buyers stepped into the weakness and the market experienced a fairly impressive +60pt recovery from the lows. 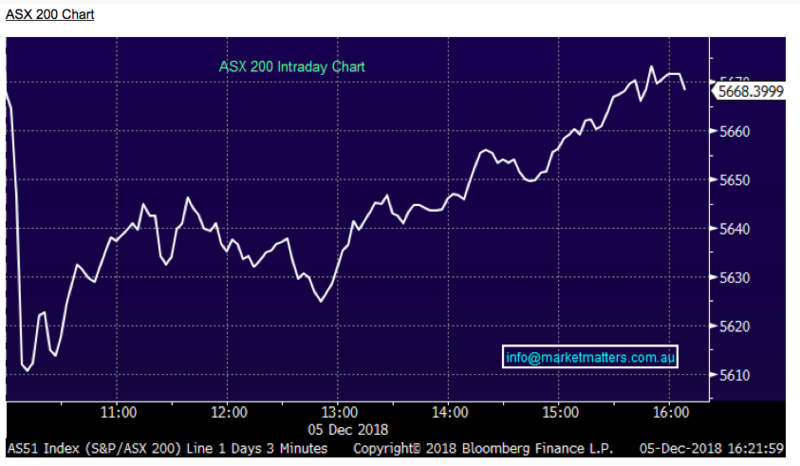 The ASX 200 finished down ~44points which actually felt like a win…. While it was being reported that China said the trade meeting with the U.S. was “very successful” and is “confident” of implementing the results agreed upon at the talks, but didn’t provide any further details on the outcome. We also saw Chinese data out around lunchtime which was firmer than expected, the Caixin PMI a strong beat on expectations which underpinned a decent move higher in the resource sector – BHP Billiton (ASX: BHP) and Rio Tinto (ASX: RIO) both finished up on the session which is a decent sign given the DOW finished down ~800points. Overall, the ASX 200 closed down -44 points or -0.78% to 5668. Dow Futures are currently trading up +61 points or +0.24%. The US markets are closed tonight for the Bush Funeral.